Product Stewardship is a critical business partner, no longer primarily known as a compliance driven "license to operate" function. 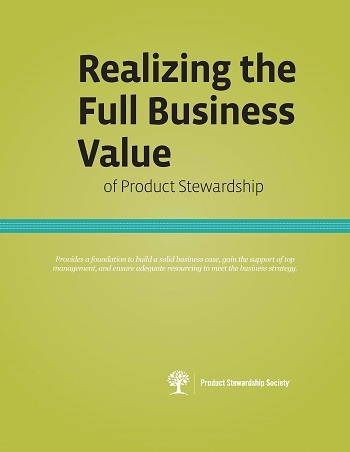 While helping to ensure that all products marketed and sold are safe for their intended use throughout their life cycle, the product stewardship function clearly contributes significantly to the bottom line and the company's ability to go to market. This publication provides a foundation for an overarching value strategy that can help build a solid business case and gain the support of top management, ensuring adequate resourcing and staff to meet the business strategy.